It’s that time of the year! Time for Halloween and spooky stories. 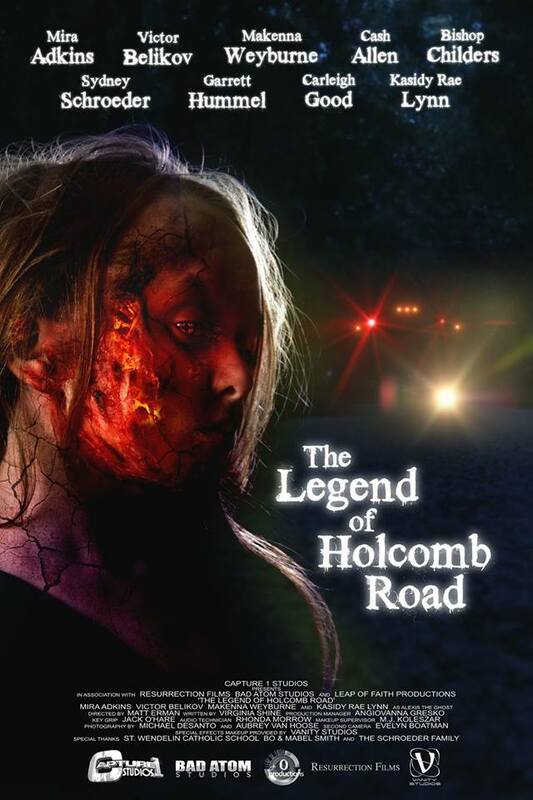 Have you heard the legend of Holcomb Road? The Legend of Holcomb Road says a driver with a bus full of little children were driving when the driver lost control and the bus drove straight into the woods hitting multiple trees until coming to a stop on a larger tree. The driver was killed immediately and then soon the bus burst into flames killing the children on board. It has been said that you can see the drivers face on the tree that the bus crashed into and that you will see headlights coming toward you that stop once they reach the tree. There have been many reports of radio stations scrambling and cell phones losing signal. On October 12th, 2018 the Holcomb Road movie premiered at the Maumee Indoor Theater. There have been multiple showings since the premiere. Carmen Cano, of the Bowling Green Convention and Visitors Bureau has planned a showing on Friday, October 19th at the Clazel Theater in Downtown Bowling Green at 10pm! Tickets are $6 each and half of the proceeds go to Firefly Nights. Matt Erman, the director of the Holcomb Road movie, is a local and he even picked students from the local schools in and around Bowling Green and the University to star in this movie. The movie is unrated so it is available for anyone at any age to watch! But remember that it is a horror movie and may have some harsh language. So if you don’t have any plans for your Friday night head on down to Firefly Nights and grab a seat for the Holcomb Road movie!